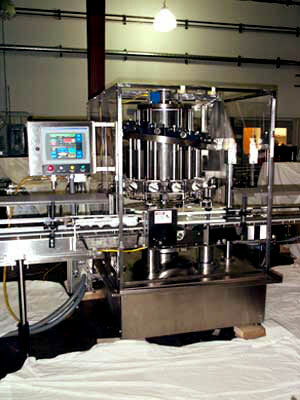 liquid filling systems to meet specific product requirements. 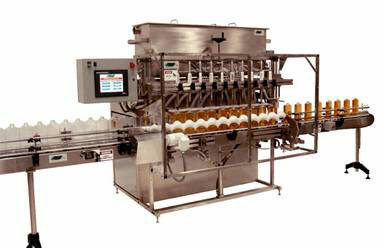 from REB-INC accurately dispense a wide variety of flow able products for hot or cold filling. 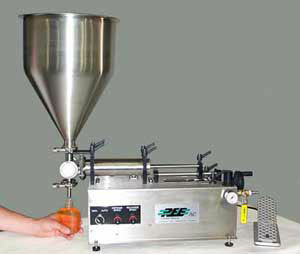 from REB-INC are used for a wide range of applications and provide very accurate fills in many industries. REB can supply you with a custom designed piston filling system for a wide range of container shapes and sizes with fill volumes that range from fractional ounces to a gallon. We design and manufacture Piston Fillers, Depositors and Liquid Pressure and Gravity filling systems to meet your specific production requirements. 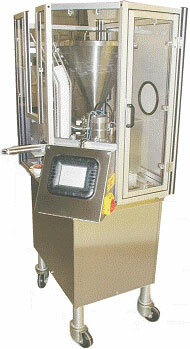 REB Volumetric Piston Filling and Depositing Systems have been designed with you the customer, in mind. 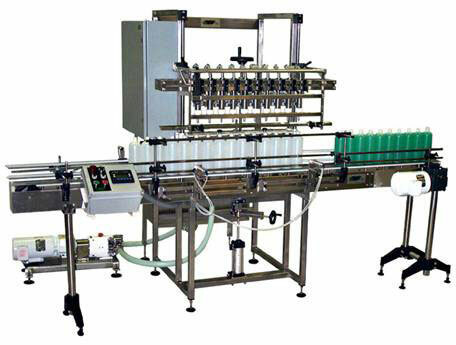 Our piston filling systems can be used in start up and small batch applications or supplied with conveyors and container indexing systems for fully automatic operation. To reduce down time for changeovers and cleaning, all product contact components can be disassembled without the use of any tools and can be removed from the machine for sanitization. Our machines frames are welded and made of stainless steel, all product contact parts are made of stainless steel and USDA approved engineered plastics. All controls are contained in a wash down duty rated enclosure. REB/Quality Cup has over 18 years of dedicated service to meet the needs of the Cosmetic, Food, Pharmaceutical and Specialty Chemical industries for high quality piston filling, liquid filling & depositing equipment. All of REB's Volumetric Piston Fillers offer the greatest accuracy (typically within +/- 1/2of 1% by volume and many times even better) and can handle a wide range of product viscosities and consistencies. Production rates rate’s range from 5 to 30 cpm (containers per minute) on single cylinder Piston Fillers, up to 140 cpm on In-Line Piston Filling Systems and up to 300 cpm on Rotary Piston Filling Systems. 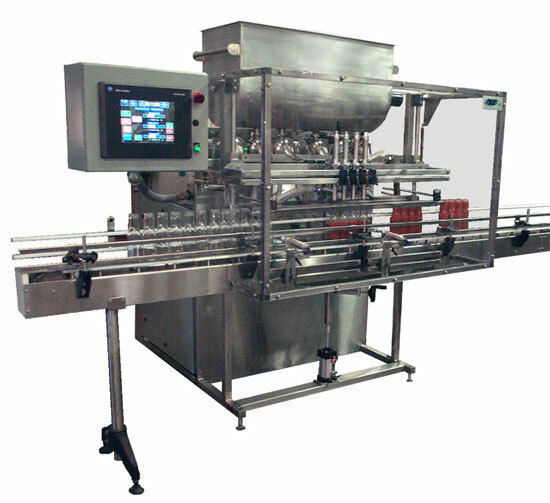 The Model SVS-J is well suited for the start up operations, lab environment or small batch production. The Model SVS can be supplied in a table-top or pedestal style design. It has a larger fill range than the SVS and is manufactured with a heavy duty frame and piston drive. available in 2 to 12 cylinders with speeds up to 140 cpm. configurations with speeds from 10 to 80 cpm. 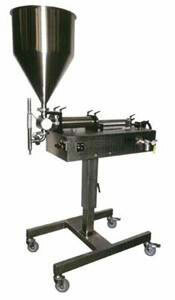 Auger Fillers, Volumetric Cup Fillers, or Scale Fillers.